We have exceptional diagnostic capabilities at Zoom Tech Automotive. 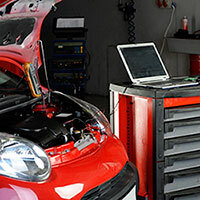 Not only do we use the latest technology and state-of-the-art equipment, our certified technicians review areas of your vehicle’s engine that may not be covered by a computer system. If your check engine light is on, we’ll find out why and make sure your running conditions are safe and sound. Most vehicle manufacturers recommend recharging your air conditioning service every two years to keep it performing optimally. At Zoom Tech Automotive, we offer complete A/C repair and recharge services, ensuring your air conditioning system has a long and trouble-free life. 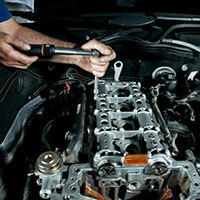 We can quickly inspect your air conditioning, repair or recharge it, and have you back on the road in no time. 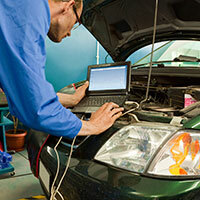 Automotive electrical systems are very complex and constantly evolving. Our technicians are qualified to diagnose and repair your vehicle’s electrical system, including circuits, fuses, wires, sensors, relays, and connectors, as well as your starting and charging systems. Call us here at Zoom Tech if you’re experiencing dim headlights, malfunctioning signal lights, power window issues, or other electrical problems. Not being able to stop is one of the worst things that can happen on the road. 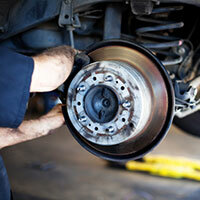 Brakes wear out and need to be serviced and replaced on a regular basis for optimum safety and performance. Our knowledgeable brake experts understand the driving conditions around the North Shore and know your brakes require care—which is why we provide a 45-point inspection with every service to ensure that any issue is fixed before it becomes a dangerous problem. 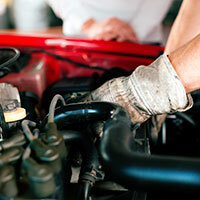 Following your vehicle’s manufacturer suggested maintenance is key to keeping your car running well and running longer. At Zoom Tech Automotive, we give you peace of mind in knowing your car is in the best condition possible, when you take to the road. At Zoom Tech Automotive, we know how difficult it can be to clean your own vehicle. And who has time to do it? We offer some great detailing and cleaning packages that suit just about any budget. Our attention to detail is sure to impress you. Click here for more information about our detailing packages.